N.B - if this is your first time hearing about PiggyBank, please read this first. Let's talk about our new update, shall we? Of all the updates, I find the Piggy Flex and Points bit to be the most interesting. On the higher interest rates, a user with a high disposable income (NGN75,000 - NGN178,500) seeking the best Return-on-Investment (RoI) is probably better off investing in an agritech platform like ThriveAgric. There the rates are sometimes as high as 22% in 10months compared to PiggyBank's annual 12.4% on Safelock savings, their highest earning product. But as you will expect there are not that many such individuals. Especially in a country with the highest number of extremely poor people in the world, despite not being the most populated country in the world. I digress. PiggyFlex is a PiggyBank feature where users can withdraw their funds at any time with NO withdrawal fee. Can there really be a PiggyBank with no withdrawal fee? What happened to "imbibing discipline in users to enable them to save"? 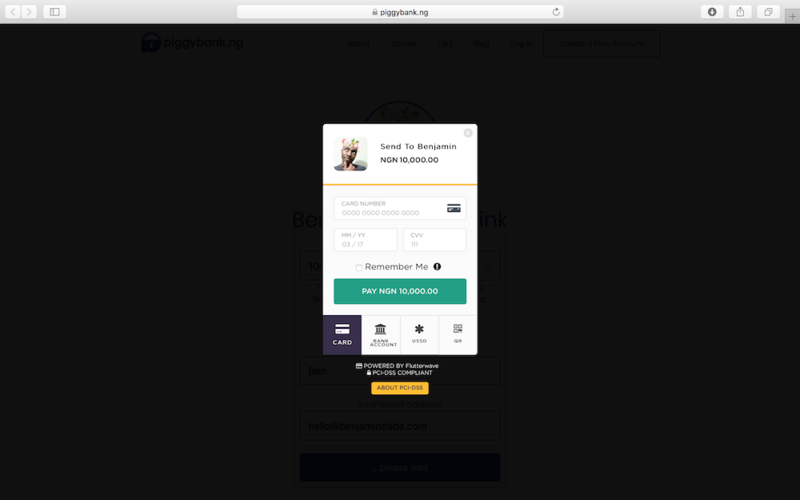 Me: "Why would PiggybankNG, at this time, launch a product that allowed people take their money out at any time, Piggy Flex? What informed that decision?" Co-founder: "PiggyFlex doesn't affect the core of Piggybank. If anything, it makes the entire product extendable and creates room for scale." While I was trying to come to terms with that, he adds: "PiggyFlex is derived. You can only get money into it when you have saved (worked hard for it)...not at random." "Ah, bingo! ", I thought to myself. You need to have money in your PiggyBank savings account before you can move money to your flex account. He concludes by saying: "There is a product roadmap and PiggyFlex is an important feature in the grand scheme of things.". In my opinion, PiggyFlex comes with just one unique selling point that is enabling peer-to-peer (P2P) transfers. 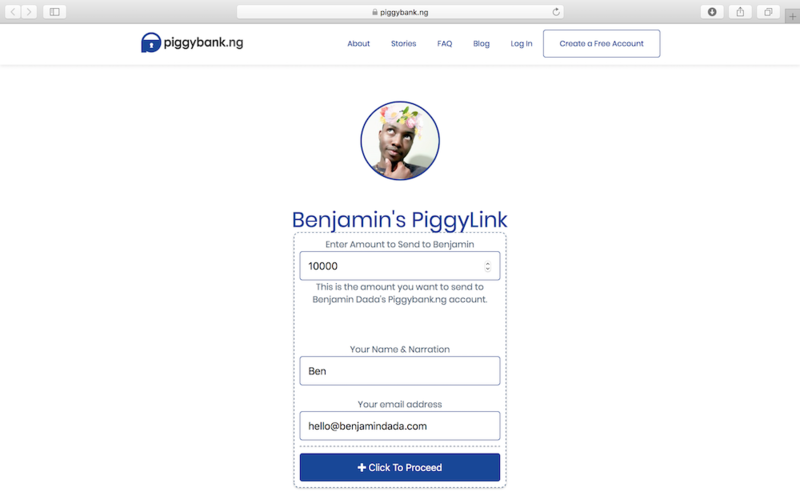 Recall that before PiggyBank came up with the idea of a PiggyFlex sub-account, they had previously introduced PiggyLink, an avenue for their users to get paid by anyone, whether or not they have a PiggyBank account. The way it works, when a user has created a PiggyLink from the settings section in their dashboard, they can then send it out to the public who then transfers money to them via a card interface. While this strategy helped in getting funds into the PiggyBank Wallet, users were getting weary of having to leave the platform to send money to another person on the same platform. So, for one, PiggyFlex helps to solve the problem of transfers within the app. The other thing that could seem like a selling point is what banks currently offer via a savings account which allows you any time access to your funds (plus some "unnoticeable" interest). So, no, I as a user might as well just move my money back into my bank savings account, except I'm considering re-saving. In conclusion, PiggyBank's introduction of a PiggyFlex sub-account could see the fintech do more sideways transaction and eventually become an ecosystem for the proliferation of other financial services like P2P lending. Bonus: PiggyBank might be looking to launch a bot, LOL. It's only right PiggyBank launches a bot, after such a bio. Learn about the other updates here from PiggyBank themselves. In line with FirstBank's plans to become the number one digital bank, they have finally launched their FirstBank Digital Lab and it's in Yaba.